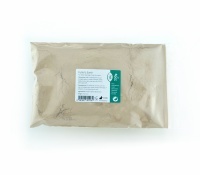 Fuller's Earth Clay is an impure absorbent clay consisting mainly of a soft silicate mineral with a dominant element attached. Most Fuller's Earth clays are produced during the water erosion of volcanic ash sediments produced following volcanic eruptions. What Does Fuller's Earth Do? 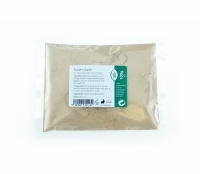 Fuller's Earth occurs as a light brown clay fine powder at room temperature; it has excellent absorbent properties and is capable of absorbing most forms of liquid (including oils). It has been praised for its skin reviving properties for many years due to its mineral content and antiseptic properties. Fuller's Earth may help to replace lost moisture and remove excess oil from the skin; this can improve blood flow which encourages rejuvenation and leave skin feeling smooth and soft. Its high mineral content can also help remove toxins from the skin leaving clean, smooth, soft, detoxified, repaired and rejuvenated skin. PLEASE NOTE: Our Fuller's Earth is not for human consumption. 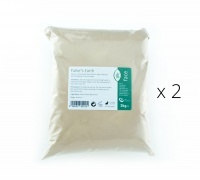 How to Use Fuller's Earth? 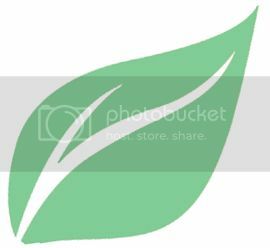 Fuller's Earth is most commonly used in the cosmetic industry where it is often added to skin care products to help remove grease or oil from the skin. 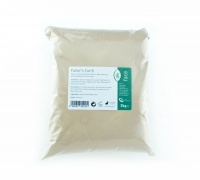 Fuller's Earth contains minerals that occur naturally and it is said to have antiseptic and cleansing properties which makes a great ingredient for many cosmetic manufacturers. 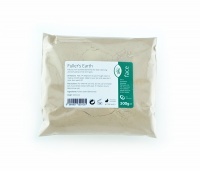 Fuller's Earth could also be used at home to make your own skin care product or facial mask. 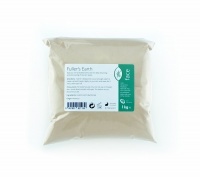 Fuller's Earth has been used for many years as cat litter due to its absorbent properties. Fuller's Earth is sometimes used by emergency services to decontaminate equipment and clothing of servicemen who respond to chemical or biological attacks.